Traditional mentoring involves someone with greater experience developing a less experienced person, with its origins often cited as being in ancient Greece from where the term is derived. During the pre-industrial age, when craft work was the norm, mentors would typically be master craftsmen that would support apprentices on their professional journey, i.e. apprentice – journeyman – craftsman – master craftsmen. Such journeys would often culminate in membership of a professional guild … and an attendant responsibility to mentor the next generation of craft workers. Such practices were well suited to a world in which technological, social and intra-generational change progressed at a slow pace and the skills and practices learned by one generation were relevant to the world occupied by successive generations. A separate but related acceleration of social change and the expectations held by different generations (often exemplified by the profile descriptions of ‘Baby Boomers’, ‘Generation X’ and ‘Millennials’ – see box below). Baby Boomers (b. 1946 – 1965) are currently the largest generation of active workers. Research has shown that boomers identify their strengths as optimism and a willingness to work long hours. This generation grew up in organizations with large corporate hierarchies (Achievement-driven organizations). In contrast, many Generation X employees (b. 1966 – 1985) will have experienced flatter management structures and teamwork-based job roles (Pluralistic organizations). But our emerging experience of Millennials (b. 1986 – 2005) is that they have a different outlook on what they expect from their employment experience. Millennials are generally well educated, skilled in technology, self-confident and able to multi-task. They have high expectations for themselves, and prefer to work collegiately rather than as individuals. Furthermore, Millennials have grown up in the disruptive world of the internet and social media, where people’s influence is based on their current contribution and reputation, not a position established over a period of time. Millennials seek challenges, yet work/life balance is of major importance to them. They don’t share the Baby Boomers’ belief that hard work and long hours will bring rewards over an extended career. And in a world where the more senior individuals are Baby Boomers who are managing individuals and teams composed of Generation X’ers and Millennials, misaligned expectations can create misaligned workforces. Unsurprisingly, Baby Boomer managers have less issues with Generation X staff and more issues with Millennial staff. The Millennial Generation is the largest age group to emerge since the baby boom generation and, as this group grows significantly as a proportion and become increasingly senior members of the workforce over the next 20 years, organizations and their leaders will need to make adjustments in their engagement models. Employers will want to consider carefully what strategies they will use to motivate, cultivate and retain valuable Millennial employees now and into the future. Given the different, but related, accelerated changes in society and the workplace (in technologies and in intra-generational expectations of life and work), Reverse Mentoring has two potential areas of focus when practiced within an organization. Millennials are so-called ‘digital natives’, and adapt seamlessly. How technology is currently being used (e.g. ‘Facebook’ replaced by ‘Instagram’ … ‘Messages’ replaced by ‘What’s App’ … for both individual and group communications). Increasing use of search engines for ‘just-in-time’ information, choices, decision-making and learning. Changing attitudes to work and working relationships have changed significantly over the one to two decades. Insights into the lives and experiences of different age groups/genders/lifestyle/ethnic backgrounds. Understanding what is important in the working environment for different age groups. Accessing what people need to feel comfortable to be themselves and make their best contribution in a business environment. Fine-tuning how to improve inclusion. As mentioned earlier, a true understanding between Millennials and Baby Boomers creates the greatest challenge … on the face of it each generation typically does not ‘get’ what the other is truly about … and why. Some more enlightened business are adopting Reverse Mentoring as means of bridging the gap. The major challenge of Reverse Mentoring is to establish an open and honest relationship that will accommodate authentic discussion and create a joint learning experience. Agree the broad Purpose for engaging in the relationship, i.e. “To facilitate the building of an inclusive, authentic and trusting environment that will enable more senior members of staff to have broader perspectives when making decisions”. Take the initiative to set it up. Book the meetings. Be prepared to step outside your comfort zone. Be willing to explore alternative views and be open to challenges. Agree the topics of conversation ahead of the meeting. Apply the value of the reverse-mentor’s experience to your own thinking. Ensure the reverse-mentor remains ‘safe’, i.e. never feels they’ve ‘put their foot in it’ with the boss! Encourage reflection and analysis in your reverse-mentee. Explore scenarios in your experience but not necessarily in the reverse-mentee’s. Act as a sounding board and challenge assumptions and behaviours constructively. Help your reverse-mentee reach their own decisions. According to Frederic Laloux (Reinventing Organizations: A Guide to Creating Organizations by the Next Stage of Human Consciousness), the ways in which we experience and view organizations is on the threshold of the next revolution. Anthropological research suggests this is a natural next step in a process that began more than 100,000 years ago and there have been, according to this view, at least five distinct organizational paradigms in human history. A small but increasing number of organizations, from a wide range of sectors, have already crossed the new threshold and are operating significantly different structures and practices in line with the ‘new way’. These pioneers are evidencing how we can better deal with the complexity of our times in radically new ways. And, critically, they are showing how work can become a place of personal fulfillment and growth for a new generation that is demanding more than a salary in return for their best efforts. In contrast to traditional models of organization, these pioneers are beginning to make the majority of today’s organizations look painfully outdated. In describing organizational evolution, a core assumption is that human societies, like individuals, don’t grow in a linear fashion but in stages of increasing maturity, consciousness, and complexity. Various scholars have assigned different names to these stages, in part dependent on their founding discipline, e.g. anthropology, sociology, philosophy, etc. For example, philosopher Ken Wilber, in his ‘integral theory’, uses colours to identify stages of human development in a sequence that evokes the light spectrum. I have included three naming schemes in this paper, drawn from sociology, philosophy and anthropology. (see Appendix 1). In the beginning, Homo sapiens (and their ancestors) organized themselves in small tribes. Around 10,000 years ago, humanity started organizing itself into chiefdoms and proto-empires. With this shift away from small tribes, the division of labour came into being — a breakthrough development for its time. With it came the first real organizations, in the form of small conquering armies. These Impulsive-Red, Wolf Pack organizations, are crude, often violent groups. People at this stage of development tend to regard the world as a tough place where only the powerful (or those they protect) get their needs met. This was the origin of command authority. The chief, like the alpha male in a wolf pack, needs to constantly inspire fear to keep underlings in line, and often relies on family members in the hope that they can be trusted. Today’s street gangs and crime syndicates are often organized along these lines. Starting around 4000 BC in Mesopotamia, humanity entered the Conformist-Amber age of agriculture, state bureaucracies, and organized religion. Psychologically, this leap was enormous: people learned to exercise self-discipline and self-control, internalizing the strong group norms of all agricultural societies. Do what’s right and you’ll be rewarded, in this life or the next. Do or say the wrong things, and you will be excommunicated from the group. All agrarian societies are divided into clearly delineated castes. They thrive on order, control, and hierarchy. In organizations, the same principles characterise the Conformist-Amber stage. The fluid, scheming wolf-pack-like Impulsive-Red organizations give way to static, stratified pyramids. The Catholic Church is an archetypal Conformist-Amber organization, complete with a static organization chart linking all levels of activity in lines and boxes, from the Pope at the top to the cardinals below and down to the archbishops, bishops, and priests. Historically, the invention of formal roles and hierarchies was a major breakthrough. It allowed organizations to scale beyond anything Impulsive-Red society could have contemplated. Conformist-Amber organizations produced the pyramids, irrigation systems, cathedrals, the Great Wall of China, and other structures and feats that were previously unthinkable. They also considerably reduced Impulsive-Red violence; a priest whose role is defined by a box in an organization chart doesn’t scheme to backstab a bishop who shows a sign of weakness. A second breakthrough was the invention of stable, replicable processes, such as the yearly cycle of planting, growing, and harvest in agriculture. Today, this hierarchical and process-driven model is visible in large bureaucratic enterprises, many government agencies, and most education and military organizations. In Conformist-Amber organizations, thinking and execution are strictly separated. People at the bottom must be instructed through command and control. In today’s fast-changing, knowledge-based economy, this static, top-down conception of management has proven to be inefficient; it wastes the talent, creativity, and energy of most people in these organizations. Starting with the Renaissance, and gaining momentum with the Enlightenment and the early Industrial Revolution, a new management concept emerged that challenged its agrarian predecessor. In the Achievement-Orange paradigm, the world is no longer governed by absolute, God-given rules; it is a complex mechanism that can be understood and exploited through scientific and empirical investigation. Effectiveness replaces morality as the yardstick for decision making: the best decision is the one that results the highest reward. The goal in an Achievement-Orange organization is to get ahead, to succeed in socially acceptable ways, and to best play the cards it is dealt. This is arguably the predominant perspective of most leaders in business and politics today. The leap to Achievement-Orange coincided with three significant management breakthroughs that gave us the modern organization. First was the concept of innovation, which brought with it new departments such as R&D, product management, and marketing, as well as project teams and cross-functional initiatives. Second was accountability, which provided leaders with an alternative to commanding people, i.e. giving them goals or targets to reach and providing freedom and rewards to motivate them. This breakthrough, sometimes called management by objectives, led to the creation of modern HR practices, budgets, KPIs, annual evaluations, bonus systems, and share options. Third was meritocracy, the idea that anyone could rise to any position based on his or her qualifications and skills — a radical concept when it appeared. The transition to Achievement-Orange brought a new prevailing metaphor. A good organization is not a wolf pack or army, but a machine. Corporate leaders adopted engineering terms to describe their work: they designed the company using inputs and outputs, information flows and bottlenecks; they downsized the staff and reengineered their companies. Most large, mainstream publicly listed companies operate with Achievement-Orange management practices. In just two centuries, these breakthroughs have generated unprecedented levels of prosperity, added decades to human life expectancy, and dramatically reduced famine and plague in the industrialized world. But as the Achievement-Orange paradigm grew dominant, it also encouraged short-term thinking, corporate greed, overconsumption, and the reckless exploitation of the planet’s resources and ecosystems. Increasingly, whether we are powerful leaders or front-line employees, many of us feel that this paradigm isn’t sustainable. The heartless and soulless rat race of Achievement-Orange organizations has us yearning for more! Postmodernity brought us another world view. The Pluralistic-Green stage stresses cooperation over competition and strives for equality, solidarity, and tolerance. Historically, this perspective inspired the fights for the abolition of slavery and for gender equality. Today it helps combat racism, homophobia and other forms of discrimination. Pluralistic-Green organizations, which include many nonprofits as well as companies such as Microsoft, Sony, and Apple, consider social responsibility the core of their mission. They serve not just shareholders but all stakeholders, knowing that this often results in higher costs in the short term, but better returns in the end. Pluralistic-Green leaders have championed the soft aspects of business — investing in organizational culture and values, coaching, mentoring and teamwork — over the hard aspects of strategy and budgeting so prized in Achievement-Orange organizations. Family is their metaphor; everyone’s voice should be heard and respected. You can’t treat knowledge workers like cogs in a machine. Empowerment and egalitarian management are among the breakthroughs they introduced. But, unfortunately, experience shows that empowerment and egalitarian management are hard to sustain. Efforts to make everyone equal often lead to hidden power struggles, dominant actors coopting the system and organizational gridlock. Pluralistic-Green companies, universities, and organizations that take egalitarianism too far have tended to get bogged down in debate and factionalism. Successful Pluralistic-Green companies maintain a careful balance: taming the traditional hierarchy through constant investment in training and culture; reminding leaders and managers to wield their power carefully; raising the skills of people on the front lines. All of these organizational paradigms (Impulsive-Red, Conformist-Amber, Achievement-Orange, Pluralistic-Green) coexist today. In any major town or city one can find Impulsive-Red organizations (entities at the fringes of the law), Conformist-Amber organizations (public schools and other government entities), Achievement-Orange organizations (‘City’ and Canary Wharf companies), and Pluralistic-Green organizations (values-driven businesses and many nonprofits). Look closely at how an organization operates – its structure, leadership style, or any core management process – and you can quickly assess the dominant paradigm. Take terms and conditions, for example: how are people rewarded? In an Impulsive-Red company, the boss shares the spoils as s/he pleases, buying allegiance through reward and punishment. In Conformist-Amber organizations, salaries are tightly linked to a person’s level in the hierarchy and there are no incentives or bonuses (same rank, same pay). Achievement-Orange companies offer individual incentives to reward star performers, while Pluralistic-Green companies generally award team bonuses to encourage cooperation. Today, in small but increasing numbers, leaders are evolving into the next stage of consciousness, beyond Pluralistic-Green. They are reflective, not needing to control their environment and those within it. They engage with the deeper parts of themselves. They develop an ethic of mutual trust and assumed abundance. They ground their decision making in an inner measure of integrity. They are ready for the next organizational paradigm … Evolutionary-Teal. In 2012, Frederic Laloux set out to find some examples of Evolutionary-Teal organizations and describe the factors that set them apart. To qualify, an organization had to employ a minimum of 100 people and had to have been operating for a minimum of five years in ways that were consistent with the characteristics of an Evolutionary-Teal stage of human development. After screening a great number of organizations he focused on twelve, selecting those that were most advanced in reinventing management structures and practices. Buurtzorg: a Netherlands-based healthcare nonprofit that is restructuring the way client-centred, home-based healthcare is being delivered throughout the country. ESBZ: a publicly financed school in Berlin, covering grades seven to twelve, which has attracted international attention for its innovative curriculum and organizational model. FAVI: a brass foundry in France, which produces (among other things) gearbox forks for the automotive industry, and has about 500 employees. Heiligenfeld: a 600-employee mental health hospital system, based in central Germany, which applies a holistic approach to patient care. Morning Star: a U.S.-based tomato processing company with 400 to 2,400 employees (depending on the season) and a 30 to 40 percent share of the North American market. Patagonia: a US$540 million manufacturer of climbing gear and outdoor apparel; based in California and employing 1,300 people. Dedicated to being a positive influence on the natural environment. Resources for Human Development (RHD): a 4,000-employee nonprofit social services agency operating in 14 states in the U.S., providing services related to addiction recovery, homelessness, and mental disabilities. Sounds True: a publisher of multimedia offerings related to spirituality and personal development, with 90 employees in the United States. Sun Hydraulics: a maker of hydraulic cartridge valves and manifolds, with factories in the U.S., the U.K., Germany, and Korea employing about 900 people. Holacracy: a management system first developed at the Philadelphia-based software company Ternary, which has been adopted by a few hundred profit and not-for-profit organizations around the world, most famously by Zappos. The remaining two identified by Laloux, AES and BSO/Origin, reverted back to more traditional management practices after a change of ownership/CEO. During his primary research, Laloux was struck by the diversity of these organizations. They included public, private, for-profit and nonprofit organizations in sectors as diverse as consumer products, industrial manufacture, healthcare, retail, and education. Typically, the leaders of these companies didn’t know about one another. They often thought they were the only ones to be so bold (or foolhardy!) as to rethink their management practices in fundamental ways. Yet, after much trial and error, they came up with strikingly similar approaches to management. Self-management. Evolutionary-Teal organizations operate effectively, even on a large scale, with a system based on peer relationships. They set up structures and practices in which people have high autonomy in their domain and are accountable for coordinating with others. Power and control are deeply embedded throughout the organizations, no longer tied to the specific positions of a few top leaders. Wholeness. Whereas Achievement-Orange and Pluralistic-Green organizations encourage people to show only their narrow “professional” selves, Evolutionary-Teal organizations invite people to engage their fuller capabilities, interests and aspirations. They create an environment wherein people feel free to fully express themselves, bringing unprecedented levels of energy, passion, and creativity to work. Evolutionary purpose. Evolutionary-Teal organizations have an emergent direction of their own with fluid strategies based on what they sense their operating environment is asking of them. They are highly agile with practices that ‘sense and respond’. The Achievement-Orange machinery of plans, budgets, targets, and incentives are to rigid and disconnected with adaptation in real time. And, paradoxically, by focusing less on the bottom line and shareholder value, and more on how to best contribute to their primary purpose within a constantly changing environment, they generate financial results that outpace those of competitors. Research suggests that there are two necessary conditions for developing an Evolutionary-Teal organization. Top leadership. The chief executive must have an integrated world view and level of psychological development that is consistent with the Evolutionary-Teal paradigm. And it is helpful if a few close colleagues share this perspective. The owners, trustees and/or non-executive directors of the organization must also understand and embrace Evolutionary-Teal world views. Board members who don’t get it can temporarily give an Evolutionary-Teal leader free rein. But when the organization hits a rough patch or faces a critical choice, they will want to regain control in the only way that makes most sense to them, e.g. appointing a CEO who exerts top-down, hierarchical authority! But what about businesses, nonprofits, schools, hospitals, government agencies, and other organizations where these conditions are not in place? Can any manager, or team, hope to influence an entire enterprise by modelling Evolutionary-Teal practices locally? As much as Laloux would like to believe this is possible, he expresses skepticism. However, some elements of Self-management can be introduced by a series of informed experiments. For example, instead of having imposed targets from above, members of a team can determine which targets they will work towards on the basis of their own understanding and agreement of what will best serve the organization’s mission. Thereafter, through peer-based processes that develop within the team, and extend beyond the team, they can take responsibility for achieving their aspirations for their customers, themselves and the organization as a whole. The full benefits of Evolutionary-Teal, of course, accrue to those organizations that fully embrace the new paradigm. In the past, with every change in consciousness (from Impulsive-Red to Conformist-Amber to Achievement-Orange and to Pluralistic-Green), more powerful and life-enhancing forms of management have emerged. After the full emergence of the Evolutionary-Teal paradigm, we will probably look back and find the organizational forms and practices of the late 20th and early 21st century alienating and unfulfilling. In summary, Laloux’s message is that we are at, or we are fast approaching, a tipping point where it’s time to stop trying to fine-tune the old models and instead make the leap to one that will be better suited to the complexity and challenges of our times, and – critically – to the aspirations a new generation of employees have for their working lives (see box on next page). Informed experiments: allow them to engage in a series of informed experiments based on the three Evolutionary-Teal breakthroughs (Self-management, Wholeness, Purpose), with the outcome of each experiment building on the results of its predecessor. Appendices 1 to 3 offer some options and ideas. Protocols and procedures: in parallel with the implementation of the informed experiments, introduce just enough protocols and procedures to help structure critical activities such as role clarification, decision-making, reviewing performance and managing conflict. Appendices 3a – 3d offer some starting points. The Baby Boom generation (b. 1946 – 1965) are currently the largest generation of active workers. Research has shown that those of this generation identify their strengths as optimism and a willingness to work long hours. This generation grew up in organizations with large corporate hierarchies (Achievement-Orange organizations). In contrast, many Generation X employees (b. 1966 – 1985) will have experienced flatter management structures and teamwork-based job roles (Pluralistic-Green organizations). But our emerging experience of the Millennial generation (b. 1986 – 2005) is that they have a different outlook on what they expect from their employment experience. Millennials are generally well educated, skilled in technology, self-confident, able to multi-task, and have plenty of energy. They have high expectations for themselves, and prefer to work in teams rather than as individuals. Millennials seek challenges, yet work/life balance is of major importance to them. The Millennial generation is the largest age group to emerge since the Baby Boom generation and, as this group grows significantly as a proportion of the workforce over the next 10 years, organizations will need to make major adjustments in their engagement models. Employers will have to consider carefully what strategies they will use to motivate, cultivate and retain valuable Millennial employees now and into the future. But a significant barrier to timely change still remains. Many organizational leaders and human resource managers complain that the new generation coming into the workforce are hard to manage. This is the wrong starting point! The hard fact is that the Millennial generation has grown up in the disruptive world of the internet and social media, where people’s influence is based on contribution and reputation, not position. Many current leaders are drawn from the tail-end of the Baby Boom generation and continue to be command and control driven, i.e. operating in much the same way as they have done since gaining their leadership positions within predominantly Achievement-Orange organizations. In order to adapt to the emerging needs of today’s post-industrial world, characterized by increasing complexity, enhanced transparency, greater interconnection, shorter time horizons, economic and environmental instability and the rising expectations of consumers, leaders must re-think their role and practice at the most fundamental level. As Generation X leaders increasingly replace the Baby Boom generation of leaders, a leadership population is emerging that is better positioned developmentally (as ‘natural’ Pluralistic-Greens) to both adapt to the external changes in their operating environments (driven by networks and technology) and to the internal changes in their workforce (driven by a higher presence of the Millennial generation). But we may have to wait until the Milliennial generation populate leadership positions to see the true revolution that enables surviving organizations to adapt and flex at the pace and degree necessary to thrive. In the meantime, many organizations may cease to exist … or be acquired by those that innovate more quickly. My final offering in this paper takes the form of three questions to ask of yourself. Appendices 2a to 2c are starting points for exploring the potential for your team or organization to explore its potential for Evolutionary-Teal management. Organized nominally under the three breakthrough categories associated with Evolutionary-Teal, namely ‘Self-management’, ‘Wholeness’ and ‘Evolutionary Purpose’, the ideas these Appendices contain can be taken-up, ignored, built upon or used as a stimulus for ideas and alternative experiments of your own. Those ideas that ‘make it’ to actions, i.e. form the basis for informed experiments, can be advanced by individuals, sub-groups or the team as a whole. Nobody is in charge. Anybody can lead. Describe the ground rules you would individually and collectively need to honour if your team were to be the best it could be under self-management. Share with your colleagues and agree next steps. Design a poster that captures your team’s ground rules for working as a self-managed team … share with your colleagues … agree the final design and content. Agree what to do with the end product. Think about your team’s approach to meetings. What might this be in the future? Produce something that captures your contribution to the team and the service it delivers. Consider how you will know, on a regular basis, how well you’re doing. Outline your core, peripheral and ‘can-also-do-to-help-out-others’ roles and responsibilities. Share and consolidate as appropriate. Identify two or three quick-win improvements … action them (JDI!) … tell those who need to know (i.e. those who will be directly impacted upon). See who notices the improvements! Renegotiate your role within the team with one or more of your peers. If feasible, establish success measures and a review date. Establish some realistic but stretchy team performance metrics with your colleagues (within the team and those who are impacted upon by your performance). Carry out a team based performance review (see Appendix 3c). In conjunction with your peers, share your personal values and how these translate into the ground rules by which you work individually and collectively. How can you bring ‘more of yourself’ to work? After reflecting on your answer, what will you do? Experiment with having some quiet reflective time with your team members. No pre-planned agenda necessary, just the will to be patient and listen for what comes up. Consider how you might best benefit from coaching … with peers and/or with an external coach. Consider how you might best benefit from team coaching sessions. Have a storytelling session with your colleagues to support self-disclosure and build community within your team. What unique contribution could you make to the team and/or the services it provides? What will you do about making this real and sustainable? Hold honest discussions with your colleagues about individual time commitments to work vs other meaningful commitments in life. Make a commitment to devote time to bring to light and address conflicts … or conflicts that may be in the pipeline (see Appendix 3d). Identify and then act upon any training/development needs you have. Put into your own words the purpose of your team. Find a way of displaying this as the current base-camp for your journey towards Evolutionary-Teal. Make a note of the prompts you are receiving from the outside world. Do something in response. Make a note of the prompts you are receiving from within your team. Do something in response. – What more can you do for them? – What more can they do for you? – How could you further improve the relationship? – What can you do for them? – What can they do for you? – How could you become allies? Explore how your personal and professional offer to the team is aligned with its purpose. Find a way of sharing the story of your exploration. Explore how deeply the team’s offer to its customers is aligned with its purpose. Find a way of sharing the story of your exploration as widely (and appropriately!) as possible. Come up with a workable solution to a current frustration, challenge or opportunity. Then JDI! Do something that exemplifies adaptation. The aim of Appendices 3a to 3d is to introduce just enough protocols and procedures to help structure the critical activities of your team as it explores its potential for Evolutionary-Teal management, i.e. The content of these Appendices are starting points and can be revised as the team decrees. Other protocols will be required in time if the team to function at its highest level, as measured by customer, team and staff satisfaction levels. But these can evolve organically as needs emerge. For now, these four ‘starter’ protocols, in conjunction with the informed experiments outlined in Appendices 2a to 2c, should be enough to get the team started on its journey towards Evolutionary-Teal. In a highly functional self-managing team, rigid job descriptions are anathema! Rather, each team member has a number of roles they agree with others and commit to fulfil. Thereafter, in the light of experience, these roles transform (with agreement) to best meet the team’s purpose and aspirations. And all this happens organically, without a fanfare! Write a personal mission statement (or personal service mission). Spell out all the roles to which you commit. For each role, specify what it does, what authority you believe you should have (act, recommend, decide or a combination of these), what indicators will help you understand if you are doing a good job and what improvements you hope to make on those indicators. Share your CLOUs and in the light of discussion and exploration, revise and align them with the goal of being the best you wish to be in fulfilling the team’s and the organization’s purpose (in the light of your own aspirations!). Once completed, CLOUs can be shared with appropriate others in the organization at large. Thereafter, begin the process of evolution in the light of experience. The following is an outline of a well-proven approach to group decision-making as taken by most Evolutionary-Teal organizations and many others besides. Present the proposal – The proposer states his/her proposal and the issue(s) it is attempting to resolve. Clarifying questions – Anybody can ask clarifying questions to seek information or understanding. This point is not yet the moment for reactions, and the facilitator should interrupt any question that is cloaking a reaction to the proposal. Reaction round – Each person is given space to react to the proposal. Discussions and responses are not allowed at this stage. Amend and clarify – The proposer can clarify the intent of his/her proposal further or amend it based on the feedback from step 3. Objection round – The facilitator asks, “Do you see any reasons why adopting this proposal would cause harm or move us backwards?” Objections are stated and captured without discussion; the proposal is adopted if none surface. Integration – If an objection is raised, the facilitator leads an open discussion to craft an amended proposal that would avoid the objection while still addressing the proposer’s concern/objective. If several objections are raised, they get addressed in this way one at a time, until all are removed. Should it not be possible to make a required or desired decision through this process, recourse to ‘Managing conflict’ would be the next step (see Appendix 3d). – When we think about our work in the coming month/quarter/year ahead, what aspirations will guide us? – What has gone really well this month/quarter/year that we can celebrate? – What didn’t go as well or might have been done differently? – What have we learned from what went really well? – What have we learned from what didn’t go so well or might have been done differently? – What are we most excited about achieving in this next month/quarter/year? – What concerns us most? – What changes, if any, do we suggest in our functions? – What new protocols will help us in the coming month/quarter/year? – What on-going development will help us to improve in the coming month/quarter/year? – Who can be of help to us and and how? Given the growing complexity of living and working in the 21st Century, and the evolving aspirations of successive generations, disagreement is inevitable and can be healthy. At its best, it allows new and diverse perspectives to be explored and well-informed resolutions to be reached. Its absence may indicate over-accommodation, over-protection, ‘group-think’ or withdrawal. But when disagreement cannot be resolved fully and authentically, conflict is likely to arise. This too can be healthy, as it is often the product of passionately held beliefs that need to be fully surfaced and understood. But it becomes unhealthy when the emotional content results in the generation of more heat than light, and when there is no recourse to a supportive process for resolving the conflict. In self-managing teams, wherever possible, disagreements are resolved amongst peers using a conflict resolution process. This process is so fundamental to collaboration without hierarchy that many organizations train every new recruit in conflict resolution. This may be a thought for the future. But for now, as we engage in our informed experiment, the following is offered as a starting point for due process. This process (called by some ‘Direct Communication and Gaining Agreement’) applies to any type of disagreement. It can be a difference of opinion about a technical decision in a given situation. It can be interpersonal conflict. Or it can be related to performance issues when one colleague feels that another is doing a poor job or not pulling their weight. Whatever the topic, the process starts with one person asking another to gain agreement. In a first phase, they sit together and try to sort it out privately. The initiator has to make a clear request (not a judgement, not a demand), and the other person has to respond clearly to the request (with a “yes” or a “no” or a counterproposal). If they can’t find a solution agreeable to both of them, they nominate a colleague they both trust to act as a mediator. The colleague supports the parties in finding agreement but cannot impose a resolution. If mediation fails, a panel of topic-relevant colleagues is convened. The panel’s rule is, again, to listen and help shape agreement. It cannot force a decision, but usually carries enough moral weight for matters to come to a conclusion. In an ultimate step, the Chief Executive might be called into the panel, to add to the panel’s moral weight. All parties who become involved in the process are expected to respect confidentiality during and after their involvement. This confidentiality also applies of course to the two persons at the heart of the conflict. They must resolve their disagreement between themselves and are discouraged from spreading the conflict by enlisting support and building rival factions. In Laloux’s discussions with many Evolutionary-Teal organizations, he found this to be a common mechanism for conflict resolution: first a one-to-one discussion, then mediation by a trusted peer, and finally mediation by a panel. He ultimately came to the understanding that this process is about more than simply managing the occasional workplace conflict. Conflict resolution is a core aspect of interlocking self-management practices. It is the mechanism through which peers hold each other to account for their mutual commitments. In traditional management structures, when one person doesn’t deliver, colleagues grumble and complain but leave it to the person’s boss to do something about it. In self-managing teams, people step up and challenge colleagues who fail to uphold their commitments in a mature and objective manner. Well, one of the ways it’s needed is to maintain a balance of perspectives when assessing how well a business is doing. Managers and leaders must be able to consider balance within the context of an evolving set of organisational aspirations, market forces, social changes, and economic realities. One way businesses can explore diverse perspectives on performance is by using a tool called the Balanced Scorecard. This looks at how the organisation is performing in relation to their mission, focussing on 4 key aspects; Finance, Customer, Internal Processes, and Learning and Growth. With budgets tight, is coaching a worthwhile expenditure? Thanks to Claire Collins, Director of the Diploma in Business Administration at Henley Business School. There is no doubt that considerable sums of money these days are invested in coaching as a form of employee development in organisations. What is also true is that it is very difficult to know how effective this investment is or what is the best way to get optimum value for money from offering coaching to staff. The CIPD’s 2011 report, The Coaching Climate, showed that coaching is offered by 75% of the organisations surveyed and that, even in these straightened times, 84% of these are using it more than was reported two years ago. The two main purposes for undertaking coaching are stated as being; improvement in performance and employee engagement. Although it is problematic to try to quantify the beneficial effect that coaching in business has on the bottom line, research demonstrates that a number of indirect benefits can be realised that lead to improved engagement, better performance, greater efficiency and effectiveness and, ultimately, enhanced business results. Some of these indirect benefits include: lower burn-out rates, improved psychological health, better communication, reduced candour and denial, higher resilience, learning adherence, greater capability and capacity and improved interpersonal relationships. In addition, by persisting with these improvements, organisational costs such as sickness and high turnover can be reduced. What is less often understood is that there are different forms of coaching that can bring about these positive outcomes. The most common route is to engage coaches, either internally or externally sourced, to work with particular groups of staff as part of a formal development process. The coach and coachee sit in a private space and conduct a one and a half hour session in which deeply meaningful issues are discussed, options for change generated and an action plan agreed. While this is a simplistic view of a very sophisticated intervention, it is the most commonly used coaching format. However, an alternative way of embedding coaching is for the organisation to adapt to a coaching style of leadership. 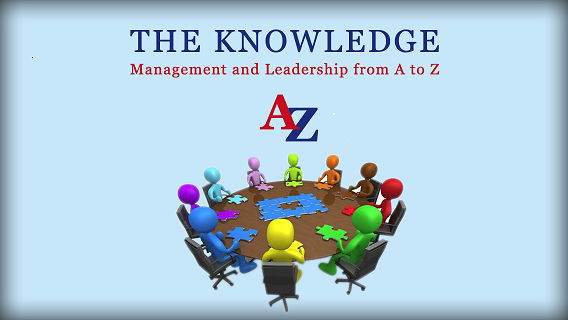 The skills of listening and questioning in order to address developmental issues become embedded in the organisation’s culture and it forms the prevailing philosophy behind key leader-follower interactions. By embracing a coaching culture as the bedrock of the organisation’s conversations, the indirect benefits listed above are achieved in a systemic way. However, let us return to the more conventional coaching approach; the one-to-one conversation. Are there ways in which the organisation can stack the odds in favour of getting a good return on its spend? Fortunately, recent research suggests that this is, indeed, achievable. One of the most vital aspects of a successful coaching intervention is that the relationship between coach and coachee is as positive as possible. Good rapport, openness and the establishment of trust are shown to lead to better coaching conversations and stronger outcomes. So as to achieve this, a deliberate process of matching the pair together should be undertaken. Coachees should be given a choice of who they would like to work with, ideally, from at least three candidates. In order to achieve this short list, some process of selection should take place in the organisation, based on a range of criteria relevant to the situation, which might include the coach’s experience, accreditation, previous clients, supervision and style. The coachee should then be given the opportunity to meet each potential coach. This does not have to be a long drawn-out process. In fact, it has been shown that a brief encounter of only five minutes is sufficient for this matching decision to be made. Once the match is achieved, a three-way meeting between the coach, coachee and the person commissioning the coaching enables clarification of the objectives of the coaching, and the expectations on each party. At the commencement of the coaching sessions themselves, a robust contracting conversation should establish important aspects, such as confidentiality and boundaries of the coaching. These preparatory actions strengthen the likelihood of a fruitful coaching relationship being formed, which itself is an indicator of better coaching outcomes. So, is coaching worth the spend? I believe that it certainly is, if an organisation approaches it systematically, sets up the coaching relationship well and makes the most of the indirect benefits that accrue this most surely builds performance, engagement and ultimately business success. It would be overly ambitious to attempt a comprehensive review of the competencies of the OD practitioner. Rather, what follows are a few pointers that may stimulate thinking around what it takes to be effective. These guidelines, along with others you may find researched in the literature or establish for yourself from your own experience, can form the basis for continuing professional development. The nature of the OD process, emerging as it does from the applied behavioural sciences, suggests the practitioner should adopt a non-directive style in his or her relationships with clients. The differences between directive and non-directive styles are illustrated below. The client’s statement of the problem is either accepted at face value or verified by the practitioner on the basis of his/her technical expertise with regard to the problem. The client’s statement of the problem is treated as information; the problem is verified jointly by the client and the practitioner. Little time is spent on developing the practitioner-client relationship. The connection is generally short-term and problem-oriented. The practitioner-client relationship is viewed as essential to the process, and considerable attention is given to its development. The solution to the problem is generally developed by the practitioner and implemented by the client. The practitioner’s responsibility is to help the client to discover and implement appropriate solutions. The practitioner brings technical expertise to bear on the client’s problem. The practitioner helps to analyse and facilitate organizational processes. The practitioner is primarily concerned with increasing the client’s knowledge and skill with regard to the stated problem. The practitioner is primarily concerned with improving the client’s analytical and problem-solving skills. In general, the practitioner accomplishes the job for the client. In general, the practitioner helps the client accomplish the job. In reality, a mature client-centred approach may recognise the need for occasionally being directive!